White House Iftar. Tariq Ramadan. Dr. Jackson. Zionist sponsored trips to Israel. RIS. ISNA. Abu Eesa. The list goes on. Everyone has seen the debates, and everyone is posting about them all over social media. In this post I want to unpack what I find to be good about these debates, along with some personal observations about the barrage of arguments. People in the smallest of local masjids are frustrated about why their board acts without regards to their interest. For many places, the root cause of this is apathy. People may complain and raise issue, but few care enough to keep up any kind of sustained efforts. In the end, general apathy from the community at large is what kills any hope of change. People may continue to advise those in leadership, but they're still left to their own devices. Public accountability is the only form of checks and balances that is viable for community work. This is for your local masjid as well as the largest of Islamic organizations. If people don't care enough to exercise their right to accountability, then they can't expect their needs to be served. To move forward, more people have to care. They have to feel a vested interest in community affairs. That's finally happening - and despite some bumps in the road, I strongly feel like we're on the right track. It wasn't too long ago we were criticizing everyone for being too caught up in entertainment and 'dunya' to care about the religion. Now that people care, let's cultivate it. Caring is good, but we have to keep ourselves from letting it get too erratic. There's a great article in Foreign Policy - Turn on, Retweet, Tune out - explains this concept in light of recent events like #BringBackOurGirls. Simply put, people don't have the patience to sustain activism over a particular cause. The internet enables a rapid fire approach. Click here, click there, feel accomplished, then move on to the next task. To get more real about the issue, think of it this way. Remember the whole #FireAbuEesa controversy? How many of the people who so vociferously blasted him in public in the name of fair treatment, equality, marginalization of women, and so on, are still fighting for those causes? How many of the people who piped in with their "me too" support against him to show they stood on the side of women are still advocating for that cause? There are two kinds of opportunism. There is opportunism in using an event to raise awareness and start a discussion. Then there is opportunism to convince people you care by jumping on a bandwagon, and then moving on and waiting for the next issue. The problem with this is that people care less about the cause, and more about making themselves look like people who care about causes. This is not to say that everyone is insincere or posting just to get likes. What it does mean, as an intelligent consumer of information, you must be able to sift through the flood of status updates and try to figure out the context of why people are posting, or why they are advocating a certain cause. There is a world of difference between someone who unnecessarily manifests outrage at every opportunity, and someone genuinely affected by and posting about something like #FreePalestine. On a personal level, we have to become okay with not speaking out about every cause. Just because everyone else is speaking about something doesn't necessarily mean I have to as well. Pick the causes that you care about, and be active about them within your sphere of influence. Your sincere care and concern will give you the sustained empathy needed for success. Everything you have ever posted is accessible for someone to find. Positions you previously held and statements you made years ago can and will be dug up. It's not enough to refute a position, we feel compelled to also refute the manner in which the position was presented. The more we do this, the more we create the expectation that we ourselves will be held to this same standard. Be conscious of your own etiquette first and foremost. When things calm down, we never regret making a point. We don't usually regret speaking our mind. But we do often regret the manner in which we did. To see an example of raising an issue, and then writing a response with good adab see Tariq Ramadan's post, and Dr. Sherman Jackson's response. There are obvious forms of bad adab (manners) such as foul language and ad hominem attacks. There is another one that's a little more under the radar that must be highlighted - double standards. The problem with calls to adab (and this is something nearly everyone is guilty of) is that we want the scholars we respect, and the positions we take, to be treated with respect. When we hold an opinion, we want others to be tolerant of it. When someone criticizes a scholar we love, we want it to be done in a respectful manner. The problem is, many people apply these standards of respect *only* to their own scholars and positions without extending the same courtesy to people of different backgrounds or ideologies. Don't expect the benefit of the doubt if you can't extend it to others. Don't expect tolerance for your opinion by labeling the opposing positions as automatically intolerant. Another extension of this issue is the debate over whether or not things should be criticized in public. We cannot assume that someone posts something in public without having privately discussed it first. We feel okay making that assumption about others, but get offended when given the same treatment. This is not fair. We also need to progress past this point of naive notions of naseehah. Yes, personal advice is meant to be given in private. Public issues, issues of concern to the community, are by definition - public. The discourse about them will be public, and it is necessary that they be made public as a means of accountability for leadership. If my friend leads prayer, and mispronounces surah Fatihah, I will advise him privately. It is a private issue. If I post a note on Facebook about it and tag him, that is inappropriate behavior on my part. If someone posts a picture of themselves at the White House Iftar, then they should expect to be criticized. It is a public action, and it will warrant public discussion. People will post a photo like that, and then hide behind statements like "I'm not making a political statement LOL, just got invited bro, had some good food" when criticized. This is disingenuous because by claiming to steer clear of the political issues, they actually are making a political statement. It is a weak display of trying to straddle the fence while hiding behind your own passive-aggressive behavior to avoid critique. One of the ironic things about passive-aggressive updates is that they often call into question a person's intentions. We know that it's terrible character to call to account someone's intentions, but we do it anyway to try and prove a point. This is ironic because questioning someone's motives actually weakens your own arguments. Passive aggressive updates (or sub-tweeting) is quite possibly the worst offender in the category of bad adab. I've been told that young teenagers often post song lyric excerpts as a way to comment on a fight, their parents, or something like a recent break up to express their emotion without having to actually discuss the issue. We are becoming the same way. If we aren't ready to speak clearly on something, let's leave it aside. The issues outlined here are the contextual issues surrounding the actual debate of issues - these are the issues that cause us to lose our sanity. Avoiding this (and avoiding shame grenades) go a long way in making the internet a happier place for all of us. 4. What's In It For Me? Everything boils back to the basics of our religion. Foremost is intention. What is my intent in choosing to consume the debate in the first place? No one forced you to read everything about RIS. You chose to for a reason. I remember back in the early 2000's, Islamic message boards were en vogue. People spent their time arguing and refuting scholars. I personally know of a brother who within weeks of starting to pray 5 times a day immersed himself in these forums. A few months later, he no longer had any connection to the religion. These debates take a spiritual toll. Make sure you have a productive reason to follow it or partake in it. What value do you receive, and what value do you provide? If someone comes back and sees your feed 8 weeks later, what would their impression be? Leave alone what doesn't concern you. This is a fundamental principle in the 40 Hadith on Social Media. It is difficult to leave alone issues everyone is talking about. Be as discerning as possible. Some of the issues are big, and they do require attention. Others, not so much. Some issues are worth the investment of time to educate yourself, and they are worth the time to use your personal platform to educate and share with others. Some issues will blow over, and you would have been better off doing something else. Debate issues. Personalities will always change. Just because someone has a different ideology does not make it acceptable to transgress their rights as a human or your Muslim brother or sister. Be active. Social media has empowered everyone. The fact that someone like me can reach someone like you is proof enough. Utilize the tool to its best benefit. Make dua. I'm including this at the risk of sounding cliche. Whenever these issues flare up, sincerely ask Allah (swt) to guide you, guide our community, to help show the truth, and to enable us to be a means of benefit to those around us. Make dua that you and those who you disagree with are guided to the truth, and that despite disagreement He puts love in your hearts for one another. Admittedly, I haven’t seen any of the relevant “Dark Knight” Batman movies, so I don’t really have a dog in this fight. But it’s been an interesting fight nonetheless. Should Muslims go see The Dark Knight Rises, the final Batman movie of the recent wildly popular trilogy, even though it opens right at the start of Ramadan? Or should they refrain from watching it altogether until after the month ends? Like most impassioned and useless debates, people whose opinions don’t matter have formed very strong arguments on both sides. On one hand you have people who are huge fans of Batman that can’t envision not seeing it. It’s only a couple of hours, what’s the harm? On the other hand, you have those urging people not to waste time watching movies. Every second in this 30 days is precious, don’t burn 3 hours at a movie. As someone who doesn’t fall into either category, I simply want to offer some perspective on this issue. The larger question is to address the purpose of Ramadan, and what one hopes to get out of the month. Both sides contain a certain level of inconsistency in their advocacy. Those who are in favor of watching it need to acknowledge that at its base level, spending time going to the movies and being in that environment does go against the spirit of Ramadan. And while some will argue over the halal/haram of the issue, the following question is sufficient: Is this the best use of time during this precious month where every second needs to be maximized? At the same time, I feel there’s an unfair assumption being made. Those against seeing the movie use the time argument above, but without context. Someone can choose to not go see The Dark Knight Rises, but still engage in wasting massive amounts of time. There’s television, Netflix, YouTube, magazines, fiction books, the news (depending on which news you read), and, the big one, sports. What’s worse, watching The Dark Knight Rises, or compulsively checking ESPN.com every few hours for new articles on a daily basis? And this is where we get back to the central question about Ramadan. Ramadan is not a 30 day vacuum. I don’t see the benefit in someone being “righteous” enough to not watch the movie during Ramadan, but as soon as Ramadan is over they go back to seeing a new movie every weekend. By the same token, I don’t see the validity in chastising someone because they think you shouldn’t see a movie. Move past the movie question to the more fundamental question of why. If you’re opposed to seeing it in Ramadan, WHY are you staying away from it? What does it mean for you and your relationship with Allah? Is the why to maximize our Ramadan time for worship (time management)? Then what that means is that we can use this month as boot camp to cut down on those things outside the month and increase in worship more than last year. Is the why because what you’re watching/listening to/involved in intrinsically evil (sinning)? Then what that means is maybe we shouldn’t be doing that stuff at all, and we can use the month to purge it now and forever. But if you can’t answer the ‘why’ behind following certain rules, then there’s a bigger problem under the surface. If we feel that Ramadan is a vacuum and that certain things are somehow allowed only outside of it, what does that do to someone’s understanding and appreciation of the month? If anything, that just turns the supposedly holiest time of the year into a robotic lifestyle change that’s more of a 30 day chore than anything else. With such an understanding, is it any wonder then that we see little change in ourselves during the month? But, instead, we understand that Ramadan is about a time of reflection for the sake of change, not just full of things that you *can’t* do, but that you DO do (extra worship) and don’t do (eat) in order to become a better servant of God, how much more does that play a role into improving one’s faith? There’s an important question of why on the other side of this debate as well. Why is it that people get agitated when they’re told not to watch a movie during Ramadan? Why get defensive? If there is some guilt there, then you need to explore why that’s the case. If you’re comfortable with your decision to watch The Dark Knight Rises, then why is there such a need to go to great lengths to justify it to those around you? Instead of labeling others as being out of touch, or pretentious, or self-righteous, have good thoughts for those giving you advice the same way you want them to have good thoughts for you. During Ramadan we push ourselves to the spiritual limit in 30 days. We do as much as we can, and we hope to maximize the time that we have. We read as much Qur’an as possible, make as much du‘ā’ as possible, and pray as many extra prayers as we can. One of the overlooked goals though, is that of creating sustainable habits during this month. Let’s reframe the argument. Do you see a difference between: a) Not watching Dark Knight during Ramadan, and then watching it the day after Eid, and b) Not reading the Qur’an all year, but reading it twice during the 30 days and then closing it again? If I know, for example, that I keep up with too many TV shows, then the point is not to go cold turkey in Ramadan and then go right back. It should be to scale down in such a way that I can keep myself at that level until the following Ramadan. If I know I’m not spending enough time reading Qur’an, then my goal is not necessarily to finish it 10 times and then shut the book. My personal goal would be to create a system of reading regularly such that I can continue it after the month is over. Don’t confuse this with not being ambitious with your personal ‘ibādah. Do as much as you can, but remember that the change has to continue after the month is over. Part of Ramadan is also getting back to the basics. Prayer. Qur’an. How about encouraging and helping each other to have a good Ramadan instead of drawing battle lines before the month even begins? If we’re going to do that, at least let it be over something worthwhile like the abhorrent, unsubstantiated, and illegitimate position of using calculations in place of moon-sighting. Can We Get Past the Meat? Originally posted at MuslimMatters.org. On a recent business trip I went to a restaurant. The hostess noticed I was Muslim and said, "Oh you don't need a wine list, right?" I told her she was correct. When I sat at the table she handed me the menu and then asked me, "Do you eat meat?" To this I replied essentially that some Muslims are strict about a Muslim version of kosher meat [I have not encountered many non-Muslims who understand what 'halal' is - or many Muslims who understand halal vs. zabihah, but that's a different story]. She responded to this by saying, "Oh yeah, my boyfriend is from Saudi Arabia and he only eats halal meat." For as long as I can remember the meat issue has been at the forefront of every lively discussion between two Muslims. I have seen 'family night' masjid halaqahs devoted to this topic. I have seen relaxed, intended-to-be-entertainment discussions get passed around on Facebook years after the fact to one-up people of the other opinion, and Sh. Yasir Qadhi even teaches a full class on the topic. For at least 20+ years, every time I have seen a visiting scholar come to my community, someone inevitably asks the meat question. A quick google search turns up numerous halal councils, certification boards, websites, ingredient lists, and even halal bills. This is in addition to the unofficial and underground boards that exist in every city. "Don't eat at so-and-so's restaurant, the Muslim factory they buy their meat from doesn't hand slaughter. " "Yeah that restaurant says they have halal meat, but their beef is haram." In fact, I remember once reading a comment for a restaurant left on zabihah.com, "I saw the owner buying chicken at Pilgrim's Pride!" This not-so-behind-the-scenes discussion violates a key ethical principle - giving people the benefit of the doubt. For some reason, we have turned meat into a haram until proven halal issue. The least of the consequences of this is that it causes us to harbor suspicion against others. In some cases it may lead to unjustly boycotting Muslim businesses. In extreme cases, debate over this fiqh issue causes people to lose friendships and even divide entire communities. I know people who stopped receiving khutbah invites after being seen eating a turkey sandwich at Subway. I have been told to my face that nothing I say about Islam can be believed because I eat 'outside meat'. Before continuing further, I want to say what this post is not about. This post is not about debating which opinion on meat is correct. This post is not about the fact that eating organic meat may be more a more important issue to raise in regards to eating 'tayyib' than the method of slaughter. 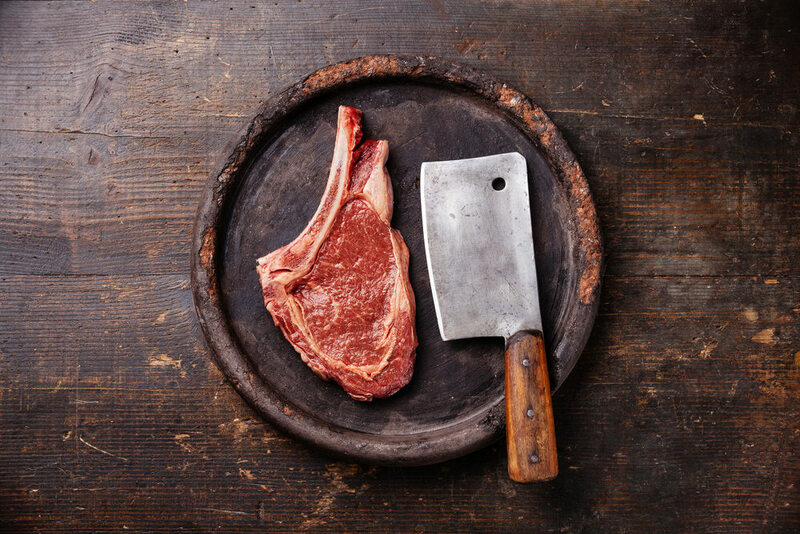 This post is not about the fact that meat is a fiqh issue with legitimate differences. This post is not about the fact that we put other Muslims out of business with accusations over zabihah/halal. This post is not about the fact that some companies exploit Muslims for business by slapping halal labels on things [many of which aren't even necessarily meat or food products]. This post is not about the fact that we should not be divided with each other over a fiqh issue. This post is about the fact that we need to move on. The education has been done. The fatawa have been issued. People's minds are already made up. The certification boards are in place. The find-halal-food-fast iPhone apps are slick and fully functioning. Halal meat has made its way into supermarkets and mainstream products have the halal marking on their containers. So long as halal meat remains our focus, the ummah will not progress past this topic. We will all eat hand slaughtered meat, and say that alhamdulillah our provision is halal, but we will continue to earn the money we buy that meat with from haram sources. We will continue to live in houses financed on interest. We will continue to drive cars financed on interest. We will continue to attend college and gain our education on loans financed through interest - ALL because we feel we have no other option [I'm not passing judgment on any of these actions, but rather highlighting the fact that a majority of people do not see another alternative. Whether that perspective is correct or incorrect is a separate debate]. I thought the point of this whole halal thing was to facilitate a holistic Muslim lifestyle in America? If that's the case, I think we have accomplished that purpose. But did it really need to take 20 or 30 years? The way things are going it seems like we will be continuing down the same path for the next 20 as well. How much work are we putting into purifying our rizq in other areas? Every dollar we deposit into the bank is being used to support predatory lending practices, subjugation of the poor, and padding the pockets of those who do this. We can't spend a night wracked with guilt over eating some chicken nuggets, but we sleep soundly knowing that our life savings are sitting in banks and being used to further an out-of-control debt crisis? Why can we mobilize and lobby to get halal bills and require labels to be slapped on products but we don't even speak up about our tax dollars paying for vacation houses for wall street executives who should be in jail? How long will we continue to utilize credit cards, giving money with each transaction to companies who make money by turning people into wage slaves? There is no need to rehash the seriousness of riba, but there is a need to take stock of how complacent we have become in our roles of facilitating it. To move forward we need to focus on creating viable and successful Muslim banks or credit unions. These can be set up to give Muslims the security and convenience of bank accounts while knowing that their money is not being used to further propagate a usurious financial system. We need real solutions to the the issues of student loans and car purchases. We need Islamic institutions and investment firms that facilitate home-buying without copying interest based mortgage contracts and just changing the vocabulary. We need to have Islamic insurance companies that can help us fulfill the legal requirements of the law without compromising any of our Islamic principles. I am deeply saddened by the fact that we fight each other over meat, but we are too distracted to even have the conversations necessary to live a full Islamic lifestyle. Why not write an article about the financial issues separately? (Already did). Why does meat have anything to do with it? Because truth be told, if this article wasn't about halal meat, you probably wouldn't be reading it - and that is the root of the problem. I don't have the solutions, but I am interested in helping out. As a community, we need to take this more seriously. When we are passionate about something, like meat, we can get things done. That mission has been accomplished, and it is time to get passionate about finding a solution to one of the most major issues facing us. Who ever thought that glitz and glamour would be associated with being a "talib al-'ilm"? Did anyone ever imagine that being a "student of knowledge" would become a glorified dream for many Muslims? Is it acceptable to say that becoming a "da'ee" is the new way of 'being the man'? Is it fair to equate aspiring to be a 'baller' in jahiliyyah to aspiring to be a "student of knowledge" in Islam? A big disclaimer before continuing: This is not a critique of seeking knowledge, of students of knowledge, or anything of that sort. Rather, what follows is an examination of the culture found in our communities of aspiring students, their motivations in seeking knowledge, and the method employed in doing so. When you grow up in the West without Islam - even if you are a Muslim - you will have certain people you still look up to, some who have nothing to do with who you really are. For example, young desi kids dressed like gangsters and thugs, listening to rap music [See related post on Hip Hop and Islam. ], meeting with their friends to mack on girls, then going home to eat biryani and study for those extra chemistry classes they are taking in preparation for med school. Aren't we all to some extent products of our own environment? The bottom line is, though, to some extent - in jahiliyyah (not necessarily exclusive to people who converted) - people aspire to be like those celebrities, famous and adored. I don't think it's even necessarily the appeal of the money as it is the adoration of the people. Everyone craves having the respect and attention of people. Muslims who start learning see examples of people who are famous in the Muslim ummah. They have CD's, DVD's, they travel around giving talks and classes, and are to a large extent adored by the Muslim masses. I remember going to a convention once where the crowd of people waiting to get in to hear one particular speaker talk resembled the crowd outside an arena waiting to get into a rock concert. When Muslims give up some of the aspirations they may have had before, they try to replace them with more 'halal' ones. Unfortunately, while our actions reform quickly, the intentions are often lagging behind. The virtues associated with seeking knowledge are motivation enough to study. However, with studying comes the pitfalls of seeking attention, fame, debating with people, being 'known' as 'knowledgeable,' and studying things which do not benefit. It becomes easy to cast aside scholars who speak about "the same things" and become infatuated with people who are always engaged in novel things you have never heard before, or authoritatively assert themselves in controversial issues. Just the virtue of having a reputation as knowledgeable or academic is often enough to mess with the intention of a seeker of knowledge. Even women are a huge fitnah for the aspiring student of knowledge. The respected males in western culture are the ones who get all the girls. For many of such aspiring 'students' the girl factor is definitely a big plus in the path of seeking knowledge. It doesn't help, of course, to go to a conference, and have sisters sending up questions like "are you looking for a second wife?" in the Q/A portion of the talk to the Shaykh. Many think that by becoming a 'student,' marriage prospects will flow forth without end and they will somehow be forced to struggle to narrow themselves down to only 4 lucky women. That status as a "student of knowledge" becomes the goal by which to attain respect, admiration, women, and even to some respect, money. Is this just a zabihah version of the 'baller' lifestyle? Surely the picture is not as bad as it has been painted above is it? Many people (especially youth) are confused oftentimes as to their own intentions. While the pursuit of studying the Sacred Knowledge is no doubt noble and virtuous, that pursuit does not come without tests - chief amongst them is the test of our intentions. We are all familiar with the hadith of the first 3 people to be thrown into the Hellfire - amongst them a scholar and reciter of Quran (may Allah protect us all from Hellfire). We have to assess our goals in learning the deen, set realistic expectations, and study the proper way. What are the warning signs we can look for to see if we're headed down the wrong path in seeking knowledge? The Prophet (saw) was commanded in the Qur'an to ask for an increase in knowledge. In some hadith, it is narrated that he would ask Allah for the beneficial knowledge, and in even other narrations we find he (saw) sought refuge in Allah from knowledge that did not benefit. So, for the aspiring student, is there a focus on knowledge that benefits? Islam is in some respects a religion of priorities. Aisha (ra) said for example, that had the prohibition of alcohol been the first commandment in Islam, no one would have accepted it. They had to go through a process to reach the stage of giving it up. Similarly, when learning the deen, as with any other subject, you have to master the basics and essentials first before moving on to more complex subjects. The important underlying factor with Islamic knowledge is using this litmus test: Is what you are learning bringing you closer to Allah (swt) or not? Engage in debate and criticism of real students of knowledge on issues of aqeedah, bid'ah, and advanced issues of 'ilm and ijtihaad while they themselves have not even studied Islam to the extent of reading Quran with proper tajweed or memorizing more than Juz 'Amma? What about people who cannot even name the arkaan of salaah authoritatively telling others about the fiqh of how to move the finger in salah? How about those who are always engaged with defending hotly contested issues like Mawlid and Tawassul, while almost ignoring and never calling to acts of ibaadah that are undisputed? What about someone engaging themselves for days and weeks on end 'researching' whether to go into sujood on your hands or knees first, while they have not even properly studied fiqh to know what types of water can be used to make wudu? How about passing judgment on other Muslims, calling them innovators, or having corrupted aqeedah/manhaj while not even knowing the technical differences between shirk and kufr? Similarly, what about people who make walaa and baraa over Fiqh issues, like refusing to pray behind someone who wipes over their socks, or boycotting people who eat "outside meat"? The "student of knowledge culture" for some people has spurred strange affiliations. You meet people at the masjid sitting and discussing the virtues of ashaabul-hadeeth (the People of Hadith), and calling themselves students of hadith, even studying relatively advanced issues of sciences pertaining to its narrators - yet, they have not even read any of the 6 books of hadith from cover to cover - much less read them with a teacher! Some affiliate themselves to traditional Islam while not even having studied the basic usool and dalaa'il for the "traditions" they claim to follow - yet they feel pious and knowledgeable enough to look down upon others not on the same path as them. For many, being a "student of knowledge" has resulted in a disregard for the basics, a focus on advanced issues of ikhtilaaf, and adherence to a strict dress code. Dress code? You know the types. People in tailored thobes, Saudi style kufis, izaar hemmed exactly halfway between the knee and ankle, discussing and debating rulings and verdicts and scholars of whom they have never even read an original writing from. Or groups of people, all discussing the wird and adhkaar given to them by their teacher, ignoring the adhkaar found in the Sunnah, and all dressed like they were hired to endorse the spring 2008 line for Shukr clothing. There is a huge element of people plateauing in the first stage of knowledge - when you think you know everything. This is also known as "a little bit of knowledge is dangerous." The intention to reach the advanced stages is noble. People obviously have a thirst to learn the upper levels of Islamic sciences, especially the issues that are in vogue in the communities. Everyone wants to argue about halal meat and Doritos but no one wants to actually study the usool and evidences that go into it. Everyone wants to offer up tafseer of the Quran, but no one wants to take the time to memorize it, or even read it every day. That's another amazing thing, the number of people running around as "students" who ignore even the most basic aspect of our deen and have no daily relationship with the Quran, or even a solid plan in place to finish memorizing it. There is definitely a certain level of arrogance that comes with studying the deen in this way - going for the "sexier" issues and ignoring the basics - because you start looking down on others for their stances on a handful of particular issues. I myself cannot remember how many times I was told something was bid'ah, would get angry with people for engaging in it, and then upon studying the issue more with a teacher would find that in fact there are other evidences, opinions, and explanations showing that it was either not bid'ah - or at the least not something to get your blood boiling over. How many people in our communities fight with and boycott each other over these types of issues? It's definitely a disease we have to combat. One telling sign is that people going down this path, as they "progress" in seeking knowledge, they become more and more disenchanted with the community. They withdraw. They start looking down on the rest of the community, they begin to disregard things like social work as beneath them - even if they do not explicitly say it, then it's shown through their actions. This is when the knowledge of the deen goes from an encompassing life practice to an almost strictly academic pursuit. One sign of this is the rapid rise in IOD. What's IOD? Internet-Only-Dawah. We have so many people in our communities who shun the masjid and the community, and instead engage themselves with only internet dawah. This is not to say that there's no dawah online or anything of that sort (obviously, this article itself is on a blog of all things), but it's more about people who get caught up in the culture described above spending all their time debating in chatrooms and PalTalk and forums. The incessant back and forth, name-calling, boycotting, and email lists rehashing these debates have become widespread. People withdraw from their communities and abandon dawah there, opting instead to just label others and label scholars with different names and bicker in the name of dawah. This is a deception of Shaytaan and something that hardens the hearts. There is definitely a huge market for making dawah online, but it must be done correctly, and I would personally venture to make the argument that it will not be successful if a person is not also actively engaged in dawah in their own community IRL (in real life). For those of us aspiring to become real students of knowledge, we have to seriously check our intentions. What is the goal of learning? Is it to debate with people? Is it to gain admiration of people? Is it to write books or give talks and impress others? Or is it seriously about coming closer to Allah, and bringing benefit to others? If this is the case, we have to act like it. We must focus on learning that which will bring us closest to Allah. The example of Quran has been mentioned in this article a few times, let's look at how this example applies. Some people caught up in the allure of just "seeking knowledge" for the sake of knowledge will always exert themselves in finding loopholes to justify whatever they are doing. If, for example, you try to bring them back to the basics like focusing on the Quran, they will research and research until they find an example of one scholar who couldn't correctly read with tajweed, or one scholar out of thousand upon thousands who didn't actually finish memorizing Quran. We have to be willing to step back and assess ourselves, and see if we are willing to put in the hard work into the basics - which may be boring - in order to get to the stage of being able to properly study the subjects we may be more interested in. To do the basics takes patience, and we have to be very real with ourselves regarding our goals. Are we going to become scholars? Do we have the skill set for it? Put it this way, if you are faltering in regards to your secular education, and you cannot keep up with your classes or make good grades - why would it all of a sudden change at an Islamic university? That's a very tough truth we have to face. Do you have the time and ability to actually set aside 6-8 years (at the minimum) to actually study full time? It is nearly impossible to be a full time secular student, or a full time employee, and a full time student at the same time. If you are going to be studying part time, are you ready to face the fact that most likely you will not become a scholar or big student of knowledge? If that is the case, are you ready to focus yourself on becoming a productive community member, maybe a good khateeb, teach good halaqahs, make the avenues available for others to learn, do community work, and fulfill the other roles our ummah needs? We definitely need more scholars, no doubt. But what we do not need is people who fool themselves into thinking they will be scholars, and not only miss that goal, but have missed out on helping the ummah in other ways as well. Are you willing to focus on learning that which is most essential to you (and not necessarily what you are most interested in learning)? Let me give an example of something that some of us 'part time' students fall into. Someone may not have the ability to study full time, but wants to learn Arabic. This is a good goal. They will dedicate 2-3 years of their life spending all their free time studying sarf, nahw, balaghah, and other grammatical sciences in extremely great detail. But after 2-3 years they are only now at the level of reading basic Islamic texts that could have been covered in English already. It's important to realistically identify what stage you want to reach. There is nothing wrong with becoming a knowledgeable, practicing Muslim - not everyone is cut out to be a scholar. How many people spend 5-6 years of their life 'chasing the dream' and not doing anything else with their time, only to be now hitting their 30's without any true Islamic education or even secular education to show for it? Many people are just "waiting to go overseas" or "go study" and they bide their time not doing anything - not memorizing Quran, not studying with the Imams in their communities, and not even going to college and at least getting a solid secular degree! People like this after 5 years are still studying, discussing, and debating the exact same things they were 5 years prior without any progress. The path of seeking knowledge does not have to culminate in being a scholar or da'ee only as many people assume. If people in the ummah were dedicated to learning, and becoming practicing Muslims, imagine how our communities would be. Imagine that all the doctors, lawyers, teachers, and businessmen were all practicing Muslims - having taqwa of Allah in raising their families, in teaching their kids, in spending their wealth, in volunteering their time, and dealing with each other. What kind of a community would that be? How would it be to go to that masjid where these people are? The entire knowledge level and practice of the whole community would shoot through the roof, and you would have dedicated members of the ummah helping each other out. Once we identify a tangible goal to reach, we have to work to get there, and supplicate to Allah (swt) to not only allow us to be carriers of the knowledge, but those who act on what we learn. Looking at what this takes should humble us in regards to embarking upon what we want to achieve. It should increase our respect for those students of knowledge who have dedicated years of their lives studying, and are now active in teaching the deen. We should grow in our respect for our local imams who are often neglected and overlooked. What we learn should nourish our hearts. If we are questioned later about what we learned and why, we should be able to answer appropriately. Before reading a book, before listening to a lecture, we should ask ourselves why we are doing it. After we finish, we should ask ourselves what we learned from it that will benefit us in the akhirah, what we gained from it that we can pass on to others, and benefit the people with. We all want to become more knowledgeable of our deen, but we have to be true to ourselves, and our sincerity to Allah(swt) in what we're trying to get out of what we learn if we want to be successful. "We began seeking knowledge for other than the sake of Allah, but knowledge refused to be sought for other than Allah's sake"
Even though many of us may start out with mixed intentions, or our intentions may change as time goes on, as long as we keep working, then insha'Allah Allah(swt) will give us the tawfeeq to correct our intentions and become true carriers of what we are learning. I hope that this article is not misconstrued, and I hope that it doesn't discourage anyone from seeking knowledge - that is definitely not the goal. The goal is rather to serve as a reminder of our approach to seeking knowledge, and making sure we are doing it in the proper manner, and with the proper intentions. No matter what stage of life we are in, we can begin seeking knowledge, even in old age - but we have to do our utmost to do it with the proper etiquettes. Alhamdulillah, many avenues have opened up for us to learn Islam. We can take online programs, distance education programs, weekend seminars, summer intensives, halaqahs, and even short intensives overseas that last for a few weeks. The opportunities are all there for us to learn, but we have to seize them, and make the best use of them that we possibly can so that we can learn more and more of what brings us closer to Allah(swt).